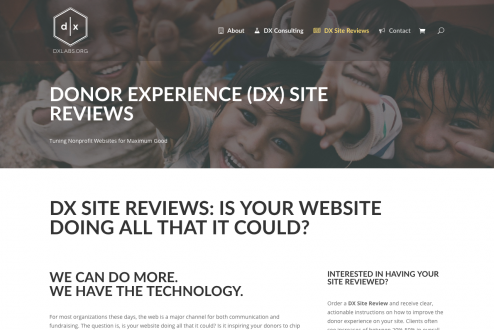 This project was an internal one, but no less interesting (because of the design challenges/opportunities presented). 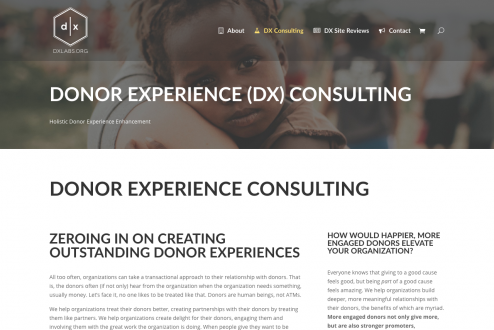 DX Labs is a new offshoot for us, a consulting arm for nonprofits. 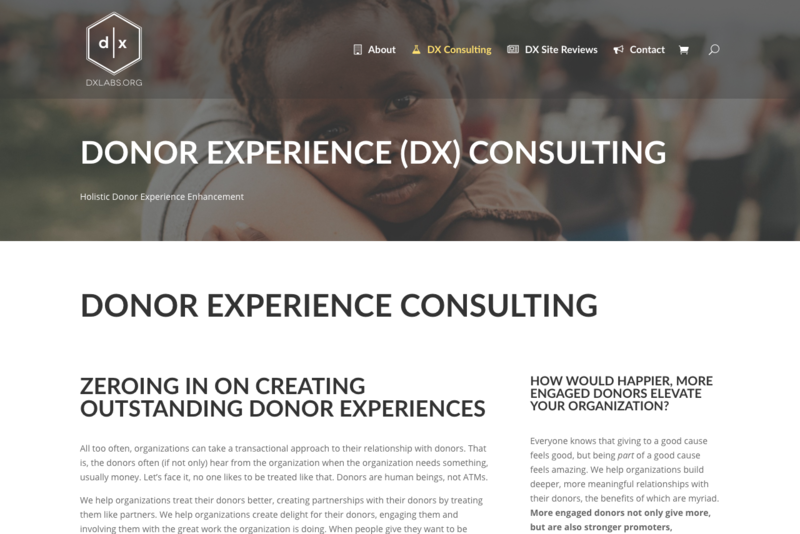 Our aim is to teach nonprofits to communicate with their donors better, creating a better “donor experience (DX)” both online and offline. 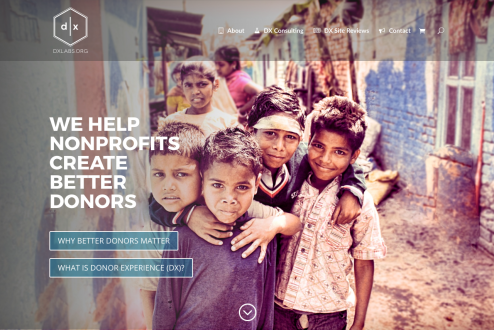 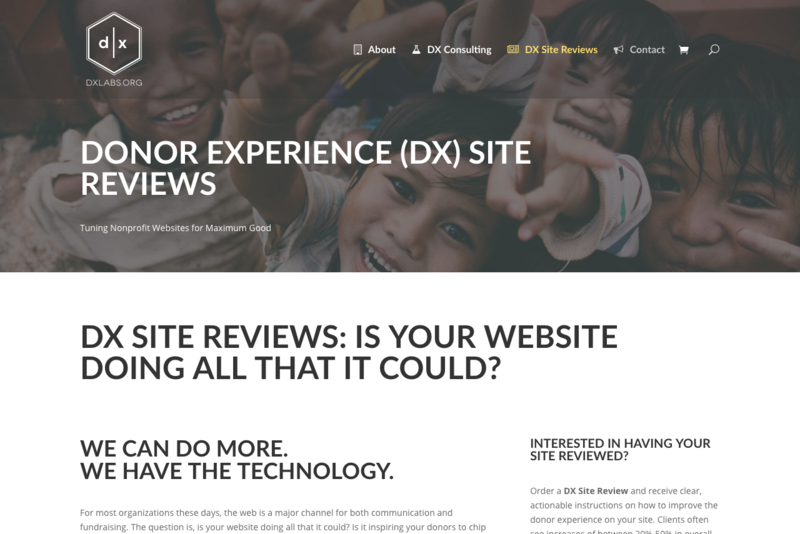 Through having worked in the areas of usability, ecommerce, User Experience Design (UX), and Customer Experience Design (CX) for well over 15 years, we can bring our experience to bear to help nonprofits not only increase online donations but also form deeper, more meaningful relationships with their donors.